When we were staying at Grandma's at half term the girls and I took ourselves off for a short trip into the countryside. 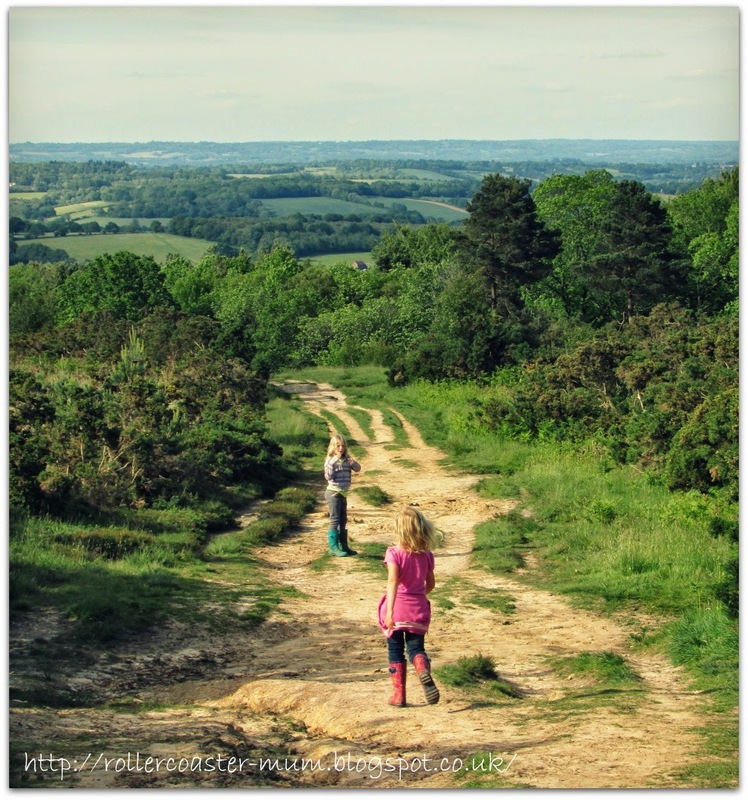 We were off for a little adventure into Winnie the Pooh country - otherwise known as Ashdown Forest. 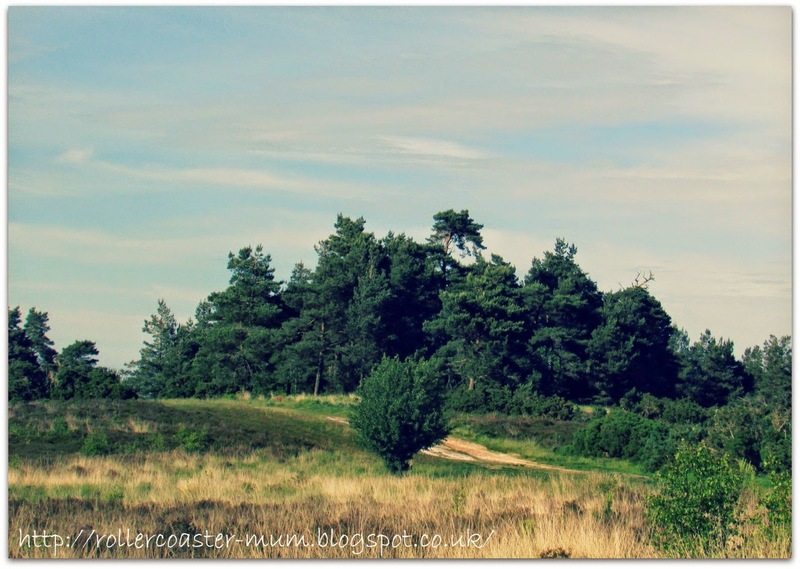 I have loved Ashdown Forest since I was a child and although I also loved Winnie the Pooh, I'm not sure when I realised that the two were connected. It is only a short drive from Grandma's house though and it seemed like a perfect afternoon out, especially as I am currently reading 'The House at Pooh Corner' to Little Miss for her bedtime story. 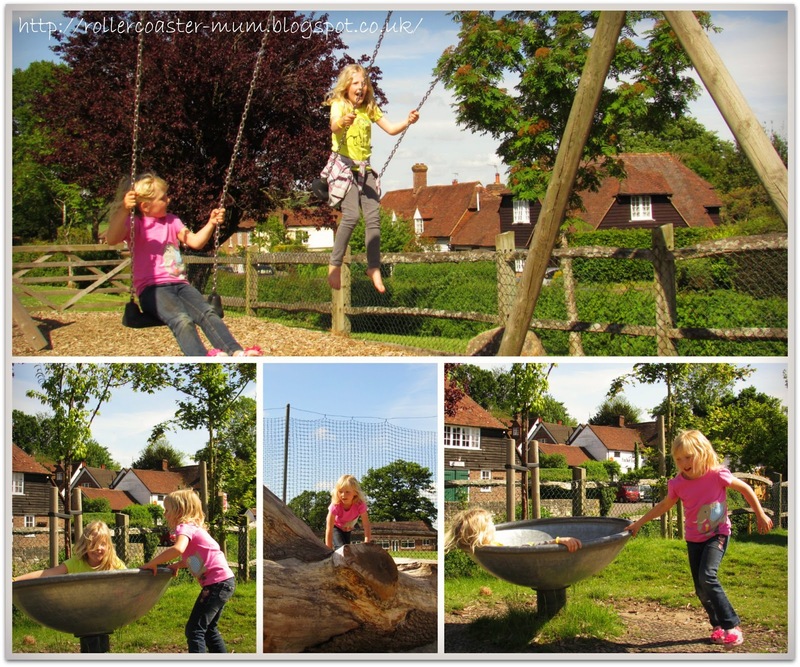 The lovely little playground in Hartfield was lots of fun! The main aim of the afternoon was to go to Pooh Bridge and play Poohsticks but as I wanted to check that I was going to the right place first we stopped off in the pretty little village of Hartfield where there is the world famous 'Pooh Corner' gift shop and tearooms. We didn't stop for long there though as it was a gorgeous sunny day and the girls were keen to have a quick play in the village playground which had been spotted as we parked the car. 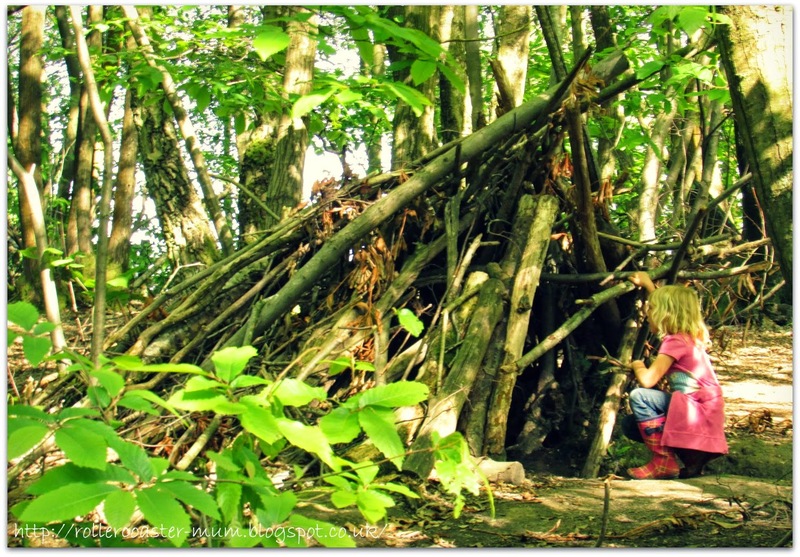 There were several 'Eeyore houses' on the path down to Pooh Bridge but we reckoned this was definitely the best. Little Miss just checking to see if Eeyore was at home in this one! Now if this isn't a Heffalump footprint I don't know what is! 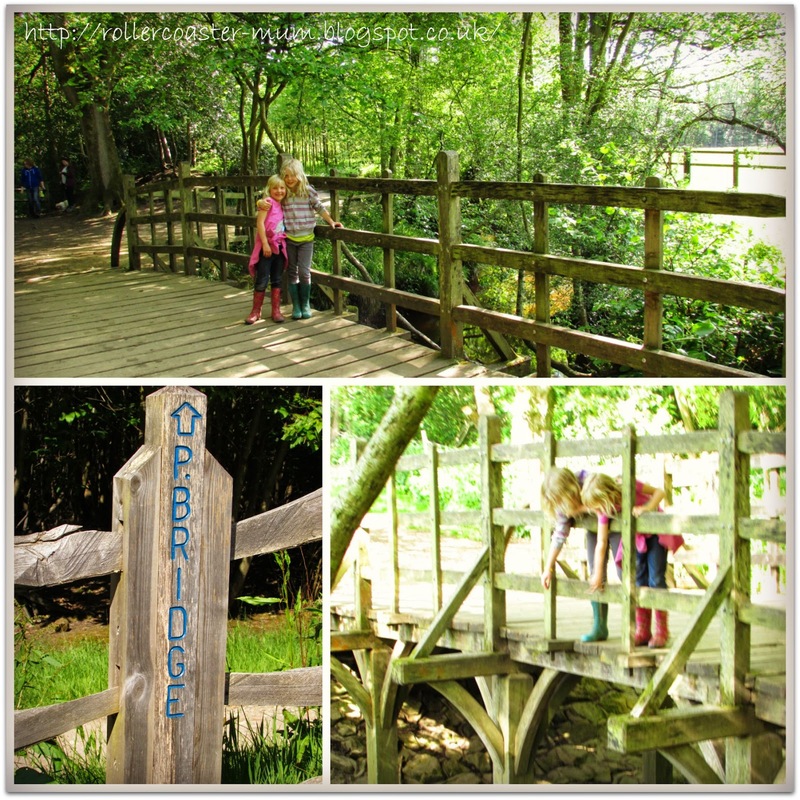 At last - Pooh Bridge - the real, actual, proper one and a chance to play Poohsticks. 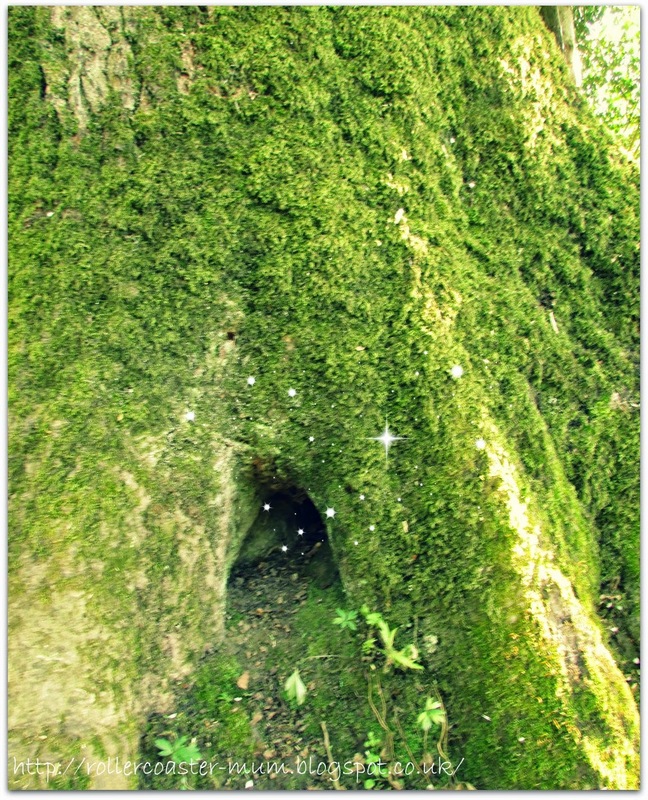 In addition to all things Winnie the Pooh we also found a perfect fairy door. I have no idea why she was hugging a tree?! 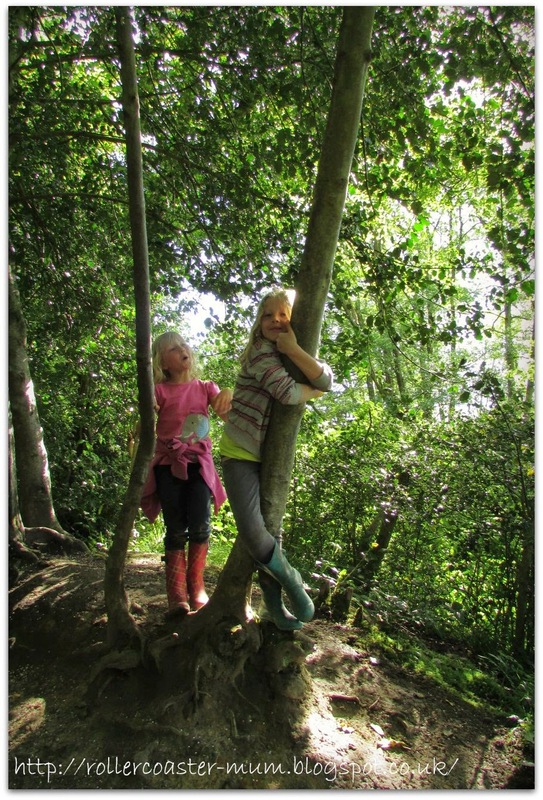 After tearing them away from the playground we drove the short distance to the Pooh Bridge car park. You can walk there from Hartfield but we didn't really have the time. Once in the small car park there is a clearly marked and easy path down to Pooh Bridge (probably about a 20 minute walk). 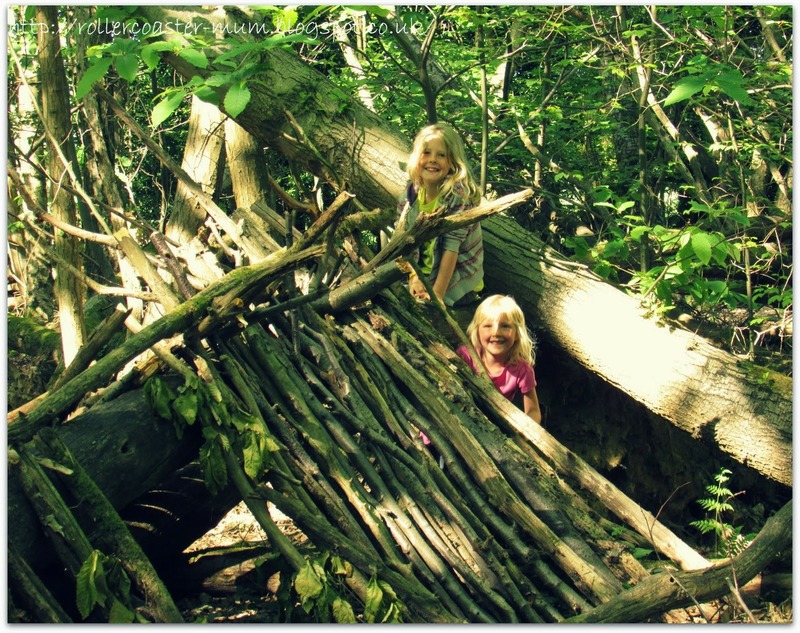 The girls enjoyed spotting a few 'Eeyore houses' (usually known as dens!) on the way and just generally running about. Pooh Bridge itself was restored a few years ago and is a pretty little bridge over a stream. 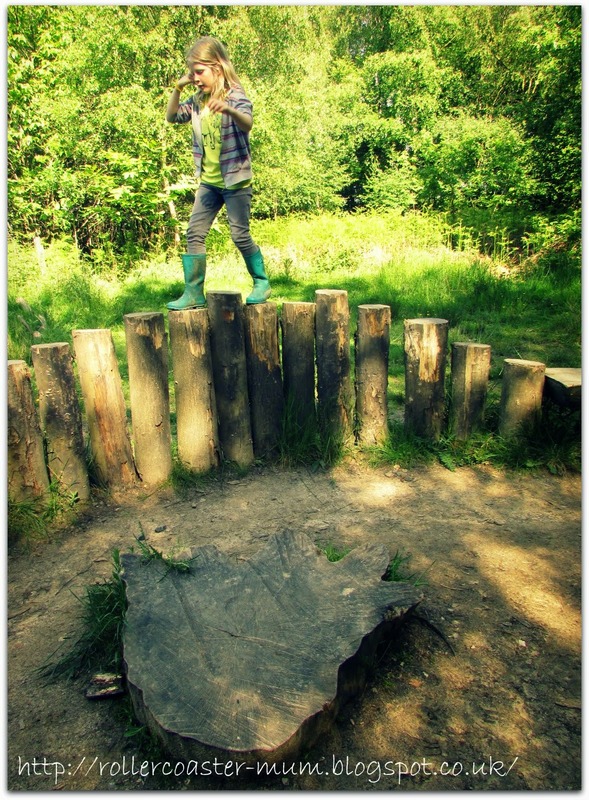 There were a few people around so we waited our turn to play Poohsticks and to take a couple of pictures but it was hardly heaving! You can continue your walk from here but we returned to the car - with a quick stop at a handy seat on the way back (it is up all the way back) for a breather. 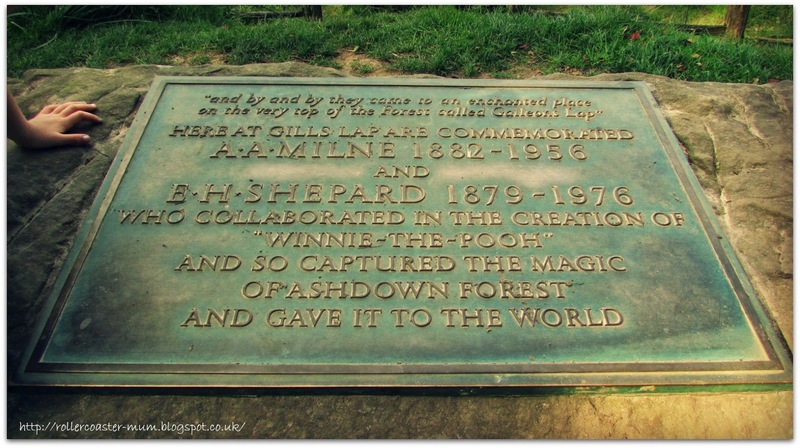 The memorial to AA Milne (author) and EH Shepard (illustrator) at the Enchanting Place. With another short hop in the car we came to GillsLap car park which is where you can go and see the memorial to A.A. Milne (the author of Winnie the Pooh in case you didn't know!) This is set in the 'Enchanted Place' mentioned in the stories and it is a beautiful spot with a stunning view. We returned slowly to the car after a bit more exploration, spotting Galleon's Lap, some Heffalump traps and Roo's Sandy Place (although we didn't go over the road to Eeyore's sad place and the North Pole). 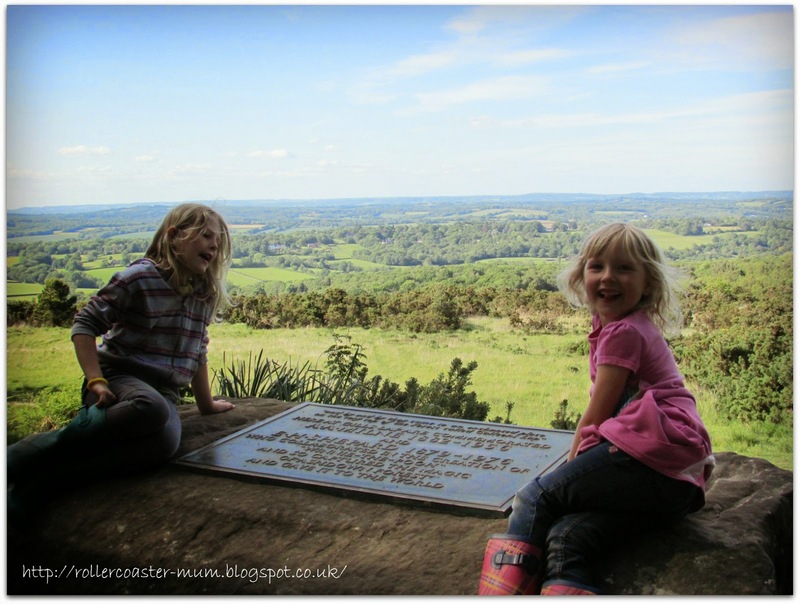 The girls loved it as Ashdown Forest is a very special place, with or without Winnie the Pooh. You can see why A.A. Milne set his stories here,(apart from the fact that he and Christopher Robin lived here) there is a definite magical quality to it. Oh we have to visit! My daughter loves Winnie the Pooh! What a lovely adventure you all had! How wonderful to be able to visit and play pooh sticks on THE bridge and explore all the enchanted places in the beautiful books by AA Milne & EH Shepard. 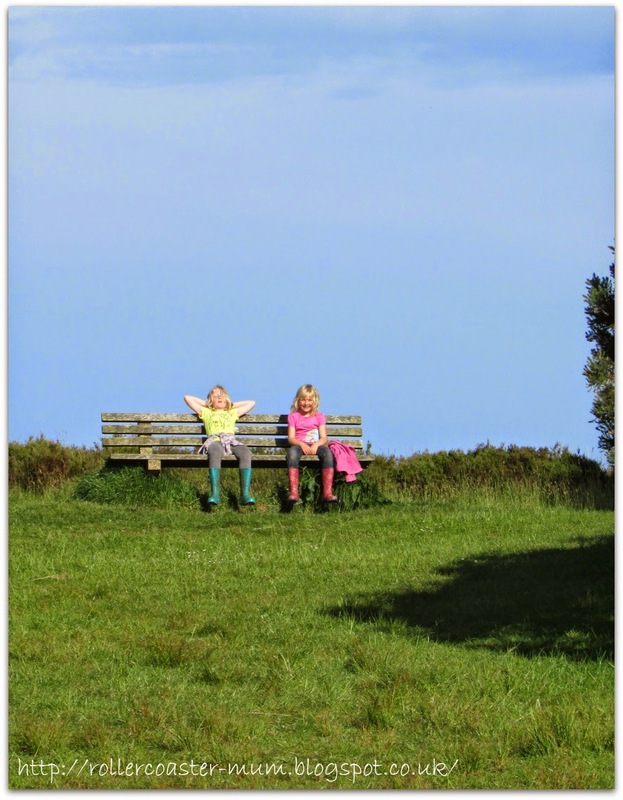 Thanks for linking up and sharing your beautiful photos with Country Kids. i think it certainly does look like a heffalumps footprint! *dodges pooh jokes* What a lovely part of the world for an outing, and your photos are simply stunning.